So like a lot of girls, when I was young one of my favourite toys was Barbie. Heck, I still love Barbie. She’s literally been everything and is a good role model for young girls. I was actually Barbie last year for Halloween, but I really like this look way better than what I came up with last year. Here’s how I created it. Like always, I started with a face primer. I use Hard Candy Sheer Envy Primer ($8.99 at Wal-Mart). 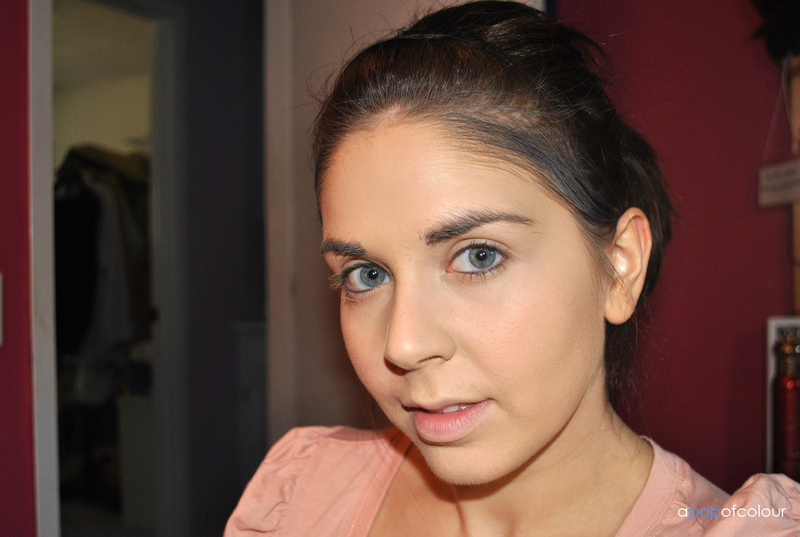 From then I used Laura Mercier Silk Creme Foundation (in Bamboo Beige) mixed with MAC’s Strobe Cream. Barbie’s skin, of course, looks flawless so use a full coverage foundation. I mixed in the Strobe Cream for that extra glow (hey, she’s plastic!). After I applied the foundation I set it with Bare Minerals Original Foundation to provide that extra coverage. 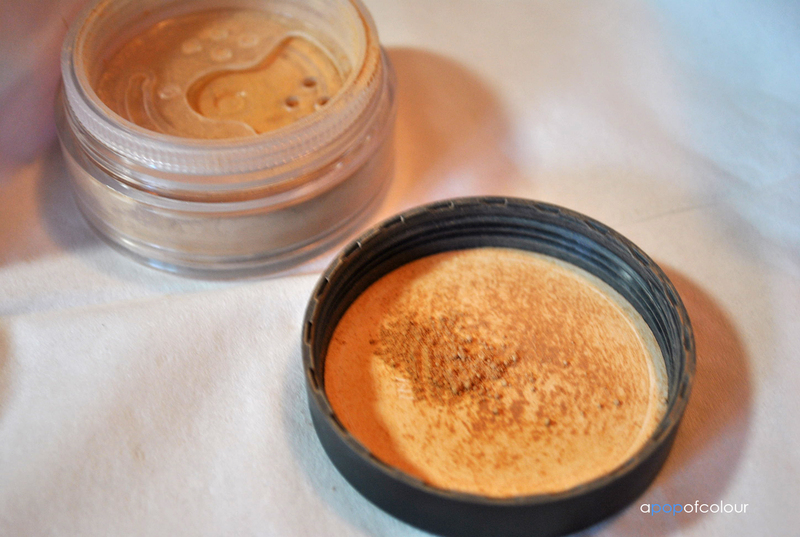 To finish up my face I applied concealer below my eyes and then used Make Up For Ever’s Microfinish powder. 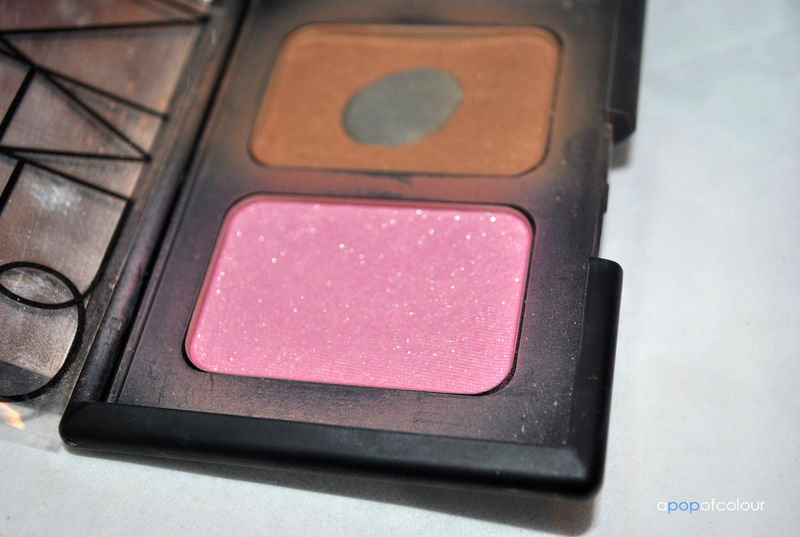 For the cheeks I used NARS Angelika blush. Barbie obviously has very pink cheeks so make sure to pack this on. Once you are done your face, don’t forget to fill in your eyebrows. 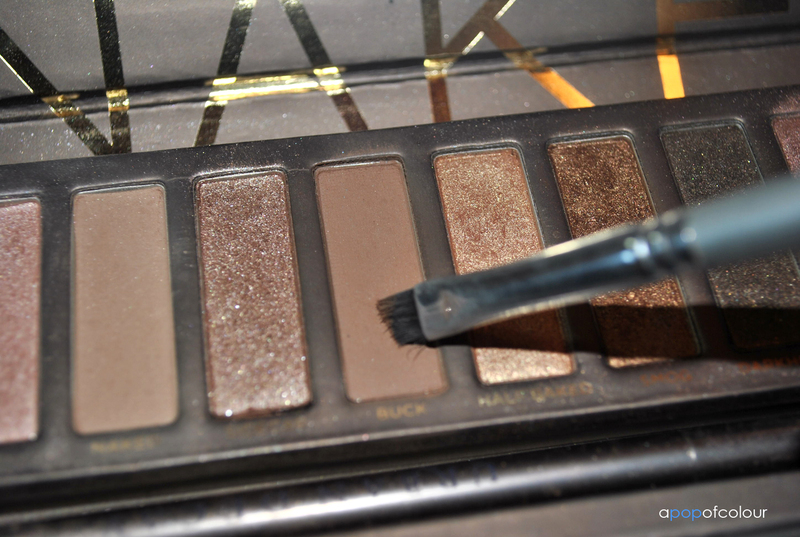 I always use the colour Buck from the Urban Decay Naked palette. Now onto the eyes. Make sure to use an eyeshadow primer, the primer makes the eyeshadow last longer plus the colour always looks way better in my opinion. As for eyeshadows, for a base colour I used a light pink (Yogurt) from the MAC Hello Kitty collection Too Dolly eyeshadow palette. 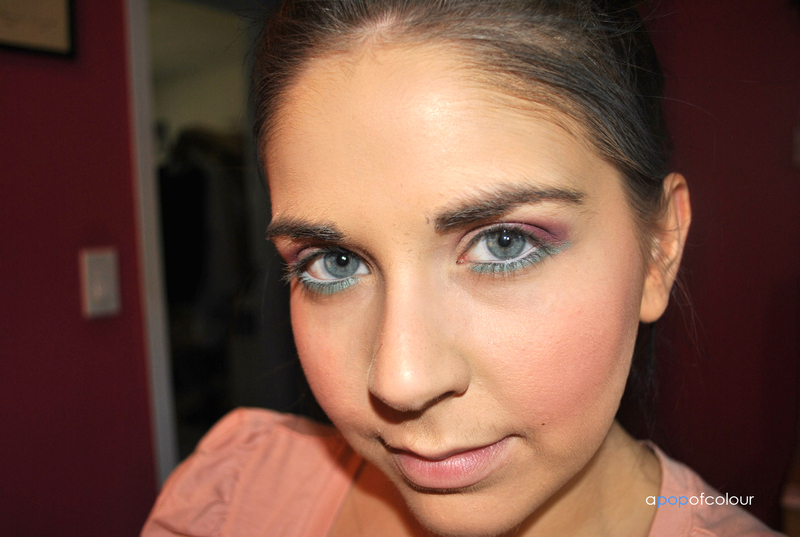 For the crease I applied the darker pink colour (Romping) from the same palette. Finally, for the lower lash line I applied the turquoise colour (Too Dolly). For this look I tried using pastels; Barbie’s makeup is usually very soft and light (probably because it’s airbrushed on her). I highly recommend using pink on the lid and the crease and then using another soft colour for the lower lash line to make the look stand out. 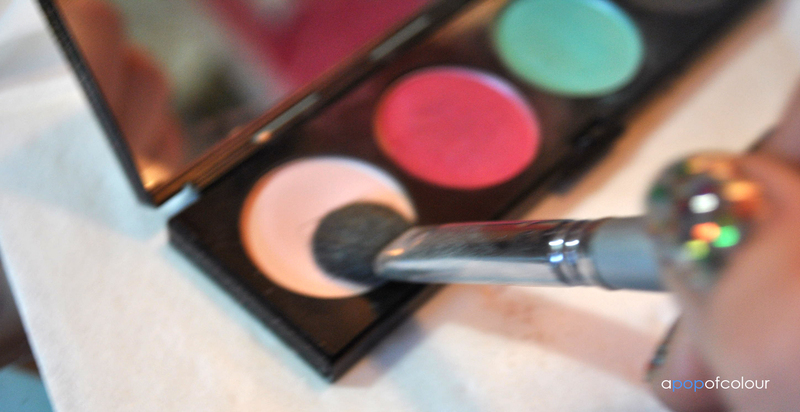 Grab your white eyeliner and apply this to your waterline. 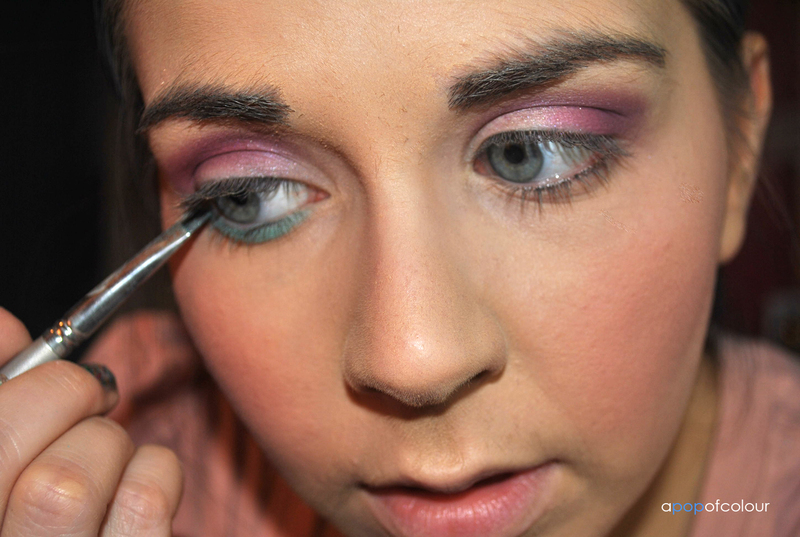 Using a white eyeliner in that area will make your eyes look bigger and we definitely want big doll eyes for this look. 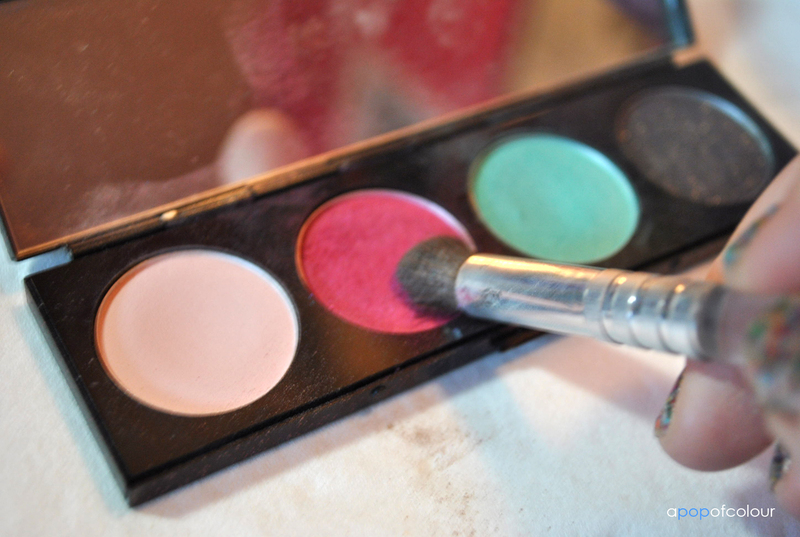 Grab a silver or white eyeshadow and apply this to the inner corners of your eye. The colour I used was Lancome Color Design Style Section Metallic. 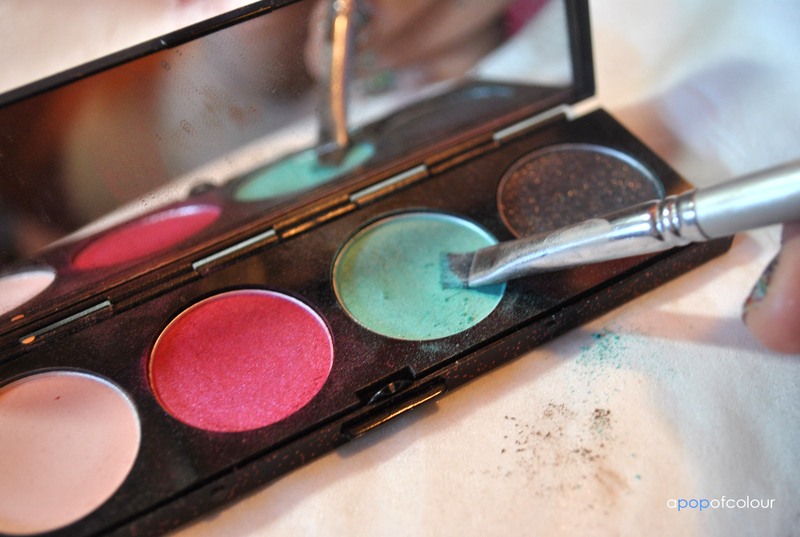 I’m not sure if they still sell this eyeshadow, it’s a few years old. Any silver or white will do really, we just want to open up the eye area and to make them stand out. For this look I did not use an eyeliner on my upper lash line. i did this for two reasons; one being that Barbie’s makeup is very soft, I didn’t want a harsh eyeliner on there, and two, she is very youthful. 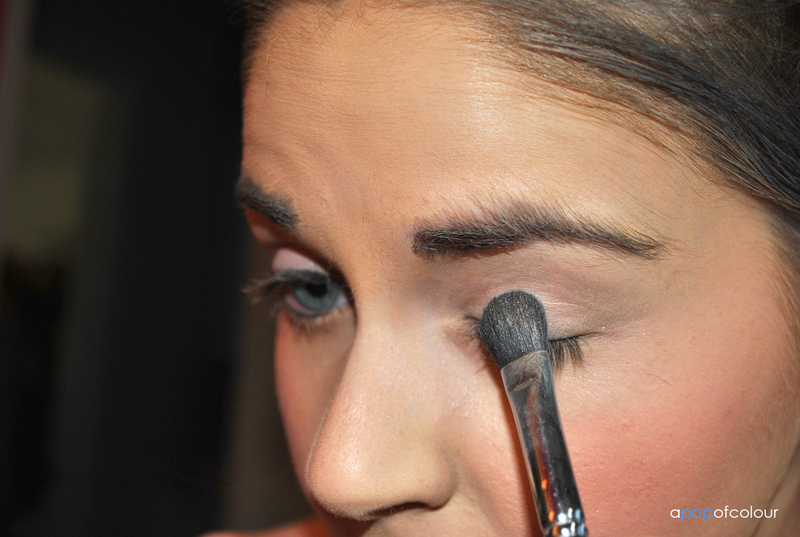 The big focus on the eyes should be the big lashes so don’t forget to use an eyelash curler and a good mascara. Grab your biggest and fullest lashes you have a pop those babies on. I also took these lash accents and applied them to the outer corners of my bottom lashes for that extra “doll” effect. Make sure you seal the lashes with mascara. 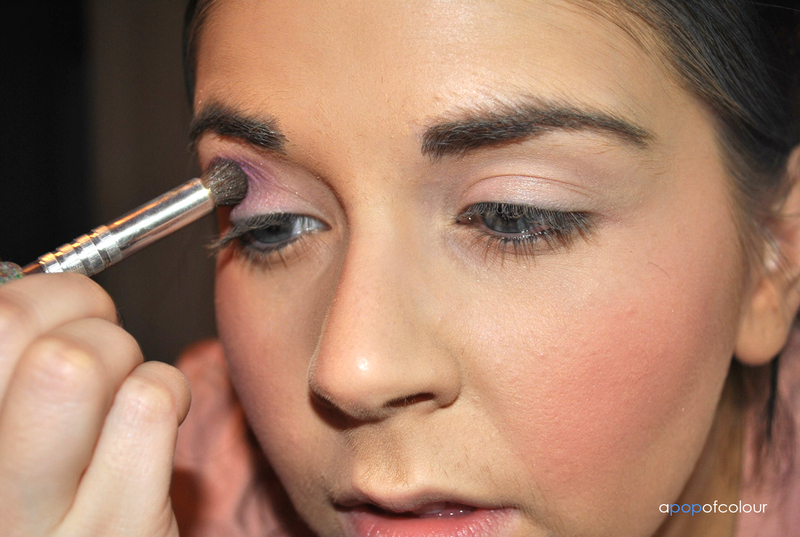 Also, take your mascara wand and use it to make your lower lashes pop more. You want some extreme doll lashes. Moving onto the lips! Because we are recreating Barbie here I chose to do my lips fully, if we were doing a rag doll kind of look I would have completely concealed them and drawn a heart shape on them for that marionette kind of effect. So the first thing I did here was grab my white eyeliner once again and highlight my cupid’s bow (the triangle in the centre of your upper lip). By doing this you are pulling more attention to your lips and making them stand out more. You can either do this before or after you apply the lipstick. 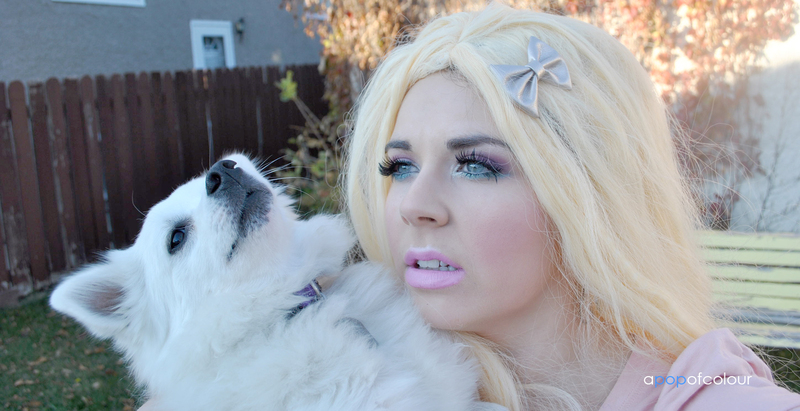 So obviously we are going to do a Barbie pink here. I lined my lips first using a NYX lip liner in Too Dolly and then went over with MAC’s Saint Germain lipstick (which is a perfect match for the lip liner). 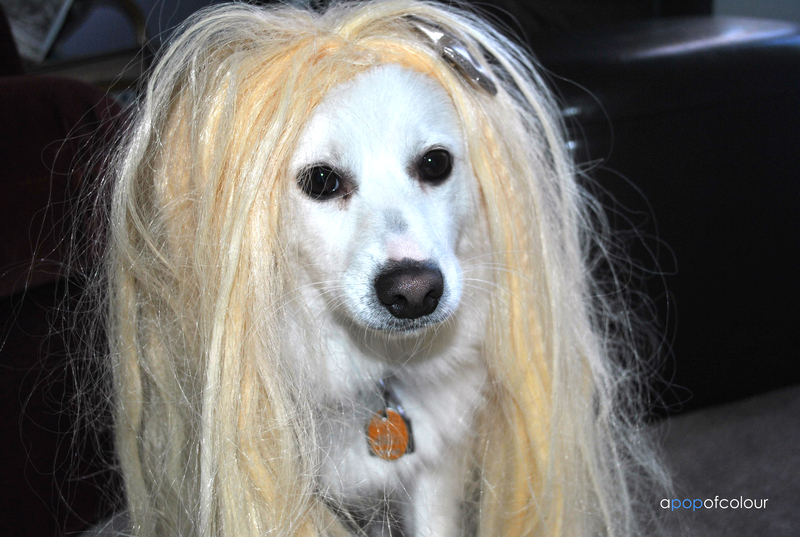 Now pop on a blonde wig and we are done! I look like I'm yawning here..
Hope you enjoyed the look! Don’t forget to subscribe :).